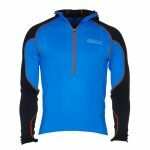 A warm midlayer fleece with fitted hood to increase your layering system in cold conditions or as extra insulation for when you reach camp.The high wicking PRIO Fleece fabric gives the Contour an active fit with great warmth and freedom of movement. 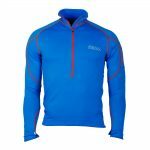 Offset and flatlocked shoulder seams reduce rub and chaffing points.The PRIO fleece has a weight of 260gsm providing exceptional warmth for it’s weight. The women’s specific fit provides a close fit to reduce flapping and helps maintain warmth from the elements. 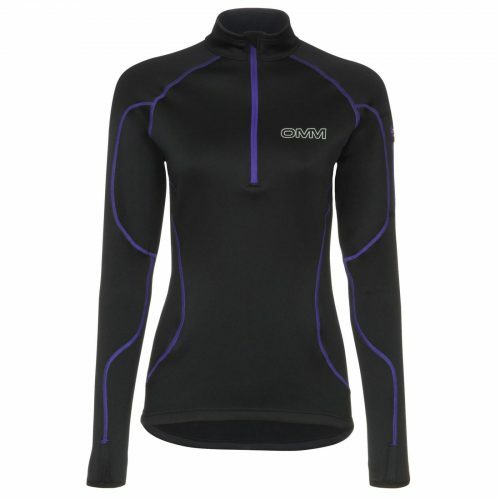 Thumb loops, offset seams and a draft flap behind the YKK zip ensure a good seal around the openings whilst the long chest zip allows for ventilation when required. If you have any questions about finding the right OMM product for your requirements please get in touch with us via sales@theomm.com and we’ll be happy to offer extra advice. View size guide.